Considering New York is our nation's biggest and most storied city, there's a good chance you've already visited. But, now's the perfect time to fully explore this bustling city once again. This time around however, let yourself live like the rich and famous (but without the price tag, of course) and stay in a hotel that's in the heart of it all. This week, we've got deals on accommodations throughout Manhattan, as well as discounted activities to keep you busy on your visit to the city that never sleeps. First off, staying uptown needn't come with an uptown price. Book a 3-night stay at the Marrakech Hotel (from $176, a low by $13; scroll down to find this offer) and shack up on the Upper West Side near Columbia University. The hotel is a short walk to Riverside Park, where you can take in views of the Hudson River or visit Grant's Tomb in Morningside Heights. The UWS offers a calm, neighborhood-like environment within Manhattan, which can be a soothing way to end your busy day. That said, you may find other locations more conducive to the activities you have planned. Spend a bit more and you can stay closer to the bustle of Times Square and buzz of the Theater District. 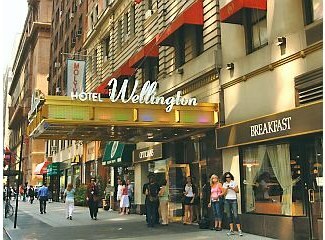 We recommend a 3-night stay at the Wellington Hotel (from $189.20, a low by $27), pictured, which is an Editors' Choice deal. Spend three nights taking in shows, to cap off your days shopping at the high-end retailers nearby and meandering through Central Park. You can also check out the Amsterdam Court Hotel (from $100 per night, a low by $5), which is similarly situated as the Wellington, but is available for shorter stays. 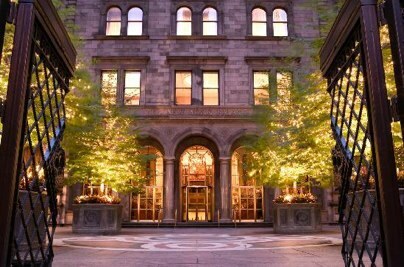 Discounts are available at other hotels in this touristy area as well, including The Palace Hotel (pictured) which offers discounts on rooms with unparalleled views of St. Patrick's Cathedral (from $299, a low by $80). The price might seem a little steep, but note that the deal also comes with a $50 spa credit, and a $50 food credit, which can be used at the hotel's Michelin-starred restaurant. You might not be able to spend your entire trip at this award-laden hotel, but you can enjoy a taste of luxury at a discount. If you don't mind staying further east on the isle of Manhattan, the Beekman Tower Hotel (from $99.80 per night, a low by $10) is situated in the heart of Tudor City. The quaint but beautiful Midtown East is home to the United Nations and a quick ride to Roosevelt Island. But if a longer walk to the subway isn't ideal, and none of the above hotels pique your interest, you can peruse BookIt's hotel sale with prices starting at $60 per night. Although there's always plenty to do in the city, it's of course worth looking for exciting offers that give your wallet a rest. Enjoy either a 3-course dinner for two or a dessert sampler for two at Kyotofu ($30, $22 off) before sipping cocktails at the posh Night Lounge, where $29 will get you four drinks and two appetizers (a low by $13). 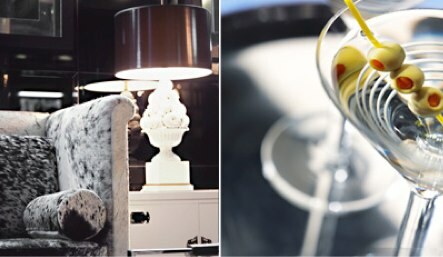 Make a plan to recover the following day with a massage and facial at Eventi (for $149, a low by $101), a hip hotel in Chelsea. 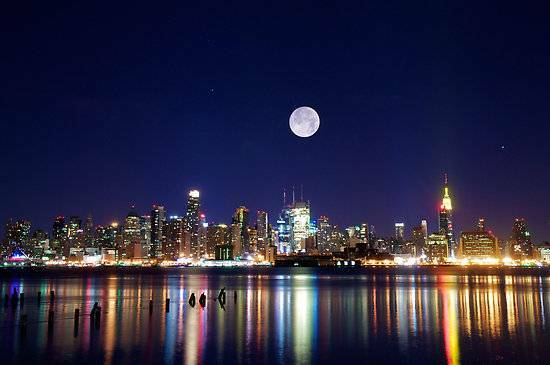 If you'd rather see the spotlights than be in them, take a dinner and sightseeing cruise on the Hudson River (from $55, a low by $25) for a different perspective on New York City. In addition to the views, dining and dancing are highlights of a visitor's time aboard the Spirit of New York. And for those not afraid of heights, catch a glimpse of the city from above with a Deluxe Manhattan Helicopters Tour (for $149, a low by $46). New York City has something for everybody and, if done right, doesn't have to cost a fortune. Still, if a trip to New York isn't on your list, check out our weekly roundup of the top travel deals for additional discounted flights, hotels, and vacation packages.